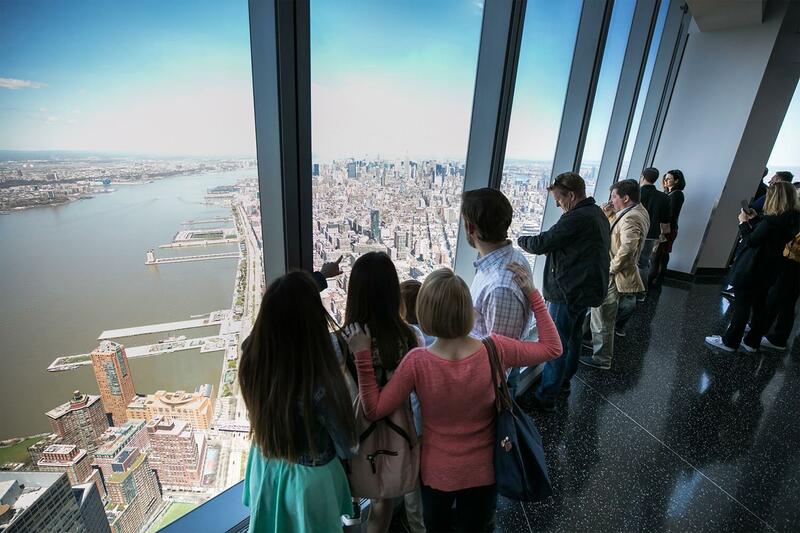 One World Observatory is positioned on top of the tallest building in the Western Hemisphere on levels 100, 101, and 102 of the One World Trade Center building. 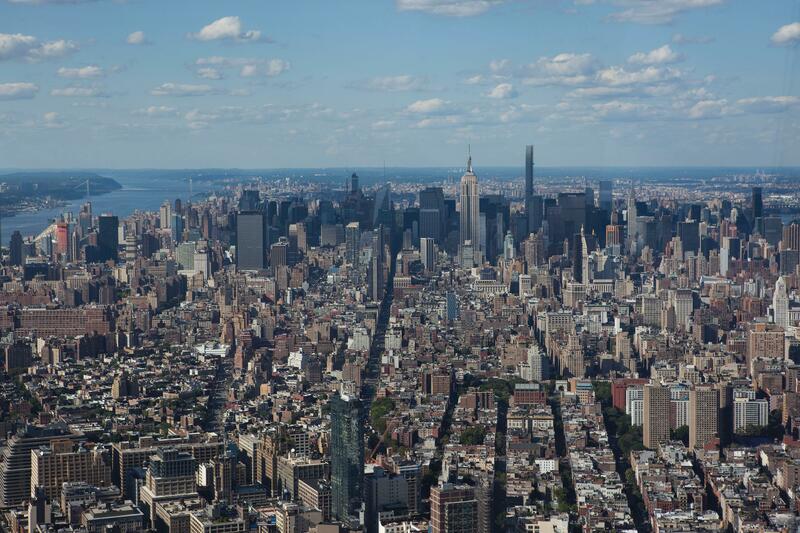 • Provides panoramic views of New York City from above 1,250 feet. 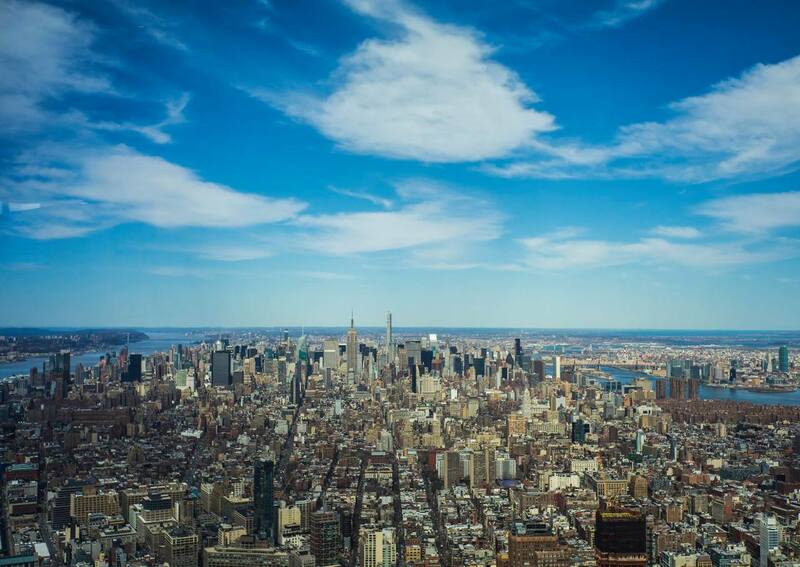 • On a clear day, visitors are able to see up to 50 miles away – the distance to Princeton, NJ. • One World Observatory is located at One World Trade Center, New York, New York 10007. 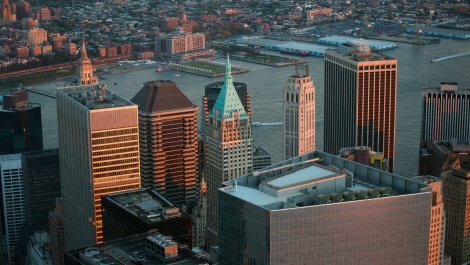 The entrance to the Observatory is located on the West Plaza alongside West Street at the Northwest corner of the World Trade Center site near the intersection of West and Vesey Streets. • Experience Global Welcome Center • A large video board features salutations in ten different languages. • A dynamically generated world map highlights the hometowns of incoming visitors using geo-positional data relayed in real time from ticket scans. • 88 Countries and all 50 U.S. states are displayed. Voices • Tells the personal stories of the men and women who built One World Trade Center. • Nearly 25 hours of interviews, with forty-eight people, were used to get to the fourteen minute running time of the show. • The main video wall is made up of 144 individual monitors. Foundations • Displays facts about the very bedrock on which the building stands. 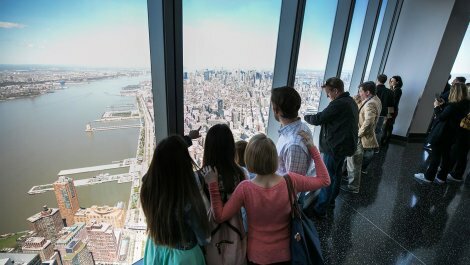 • The bedrock foundations where One World Trade Center stands were formed 450 million years ago. • Firmly attached to this anchor, 45,000 tons of structural steel rise above it. 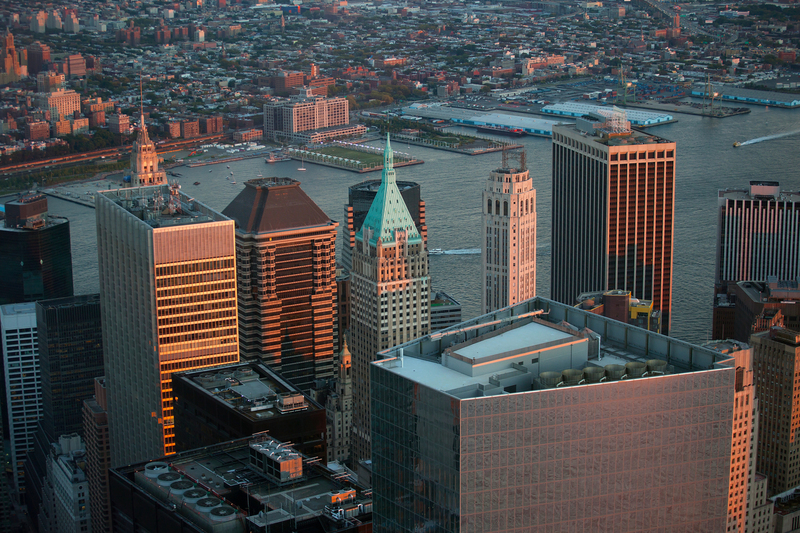 • Known as Manhattan schist, the foundation is a form of granite that anchors One World Trade Center. Sky Pods • Five dedicated elevators that ascend to the 102nd floor in 47 seconds. • Immersive, floor-to-ceiling LED technology in each cab. 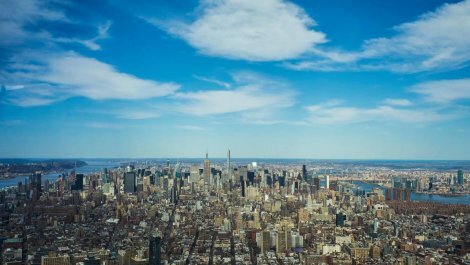 • Ascent shows a virtual time-lapse that recreates the development of New York City’s skyline from the 1500s to present day and contains nearly 35,000 different objects and references nearly 2,000 historical images. • Descent feels like a virtual helicopter ride to bottom of the building. • There are four versions of elevator video – both day and night versions of ascent and descent. SEE FOREVER™ Theater • A two-minute video presentation that combines bird’s eye imagery, time-lapse shots with abstract textures and patterns bring the unique rhythm and pulse of New York City to dramatic life in three dimension. • The See Forever film was edited and scored to a tempo based on pedometer data of the average New Yorker. 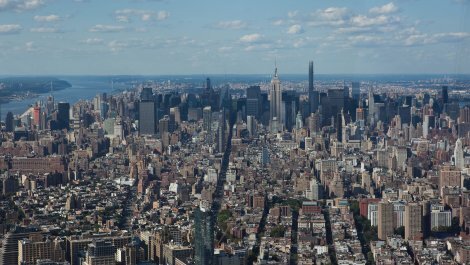 • Custom software was developed to track the imagery with the moving panels as they reveal the skyline. 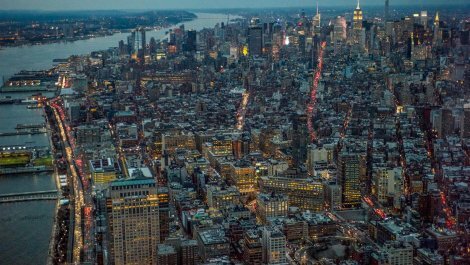 • Video is meant to capture the small bites of New York on the human scale, showing how it all comes together by revealing the entirety of New York. • Screen raises at end to reveal the view to guests for the first time. 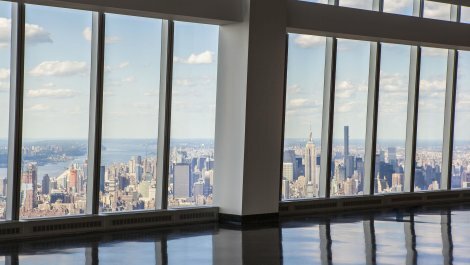 City Pulse • An interactive skyline “concierge” – that allows guests to deeply connect with the landmarks and neighborhoods they observe from above. • Each concierge is stationed under the ring of HD video monitors and outfitted in gesture recognition technology. During each presentation they summon imagery to the screens and provide guests with close-up views and personalized recommendations of city sites based on what the guests are interested in. • Gesture technology is achieved through a Myo armband – the first public performance utilization of that hardware. • There are 84 potential pre-produced topics that can be covered in the presentation and more than 10,000 possible combinations of stories and data. Sky Portal • A 14-foot wide circular disc that delivers an unforgettable view, using real-time, high-definition footage of the streets below. 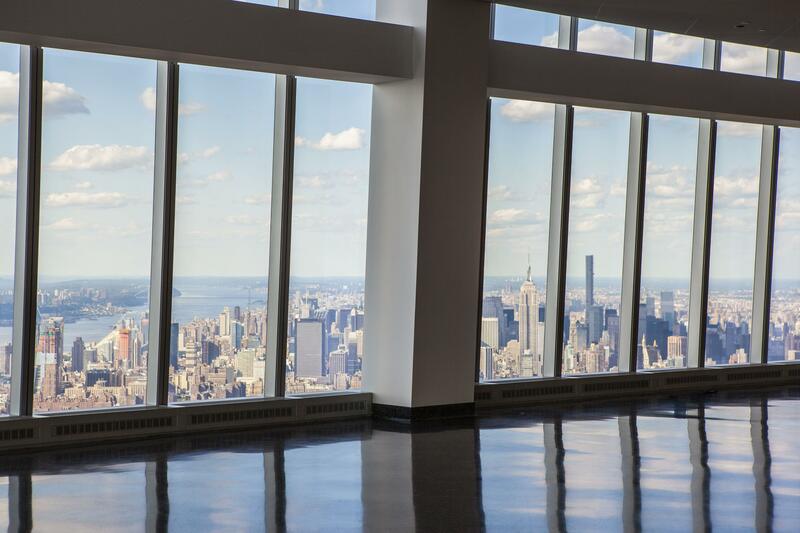 Dining • Three distinct dining options – ONE CAFÉ, ONE MIX and ONE DINE on the 101st floor. • Available to guests with Observatory tickets. o ONE CAFÉ: Serves up a selection of handcrafted made-to-order menu items. Guests choose from decadent pastries and baked goods, quality meats and cheeses; with soups, salads and sandwiches made fresh daily. 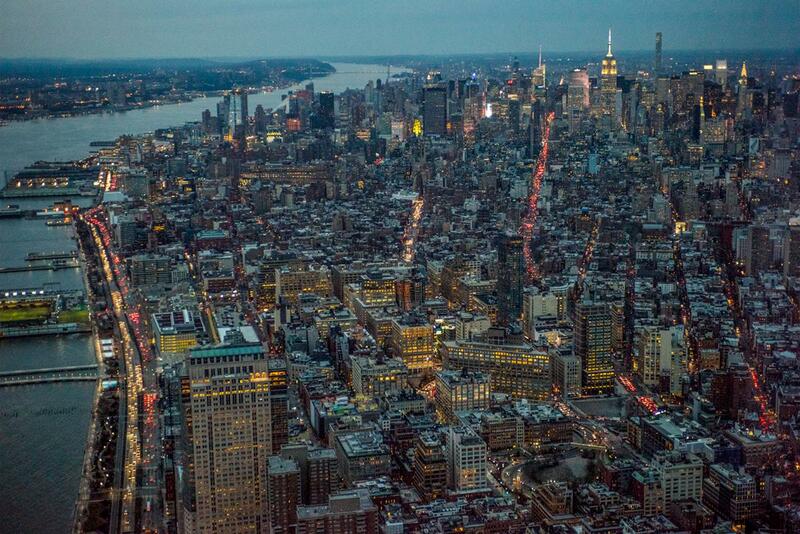 o ONE MIX: Celebrate the city and enjoy New York’s premier artisanal food, wine and spirits. Delivering distinctive small plates inspired by the five boroughs, for an authentic taste of New York. o ONE DINE: Experience premier dining high above Manhattan’s spectacular skyline while enjoying first-class service and gourmet cuisine.